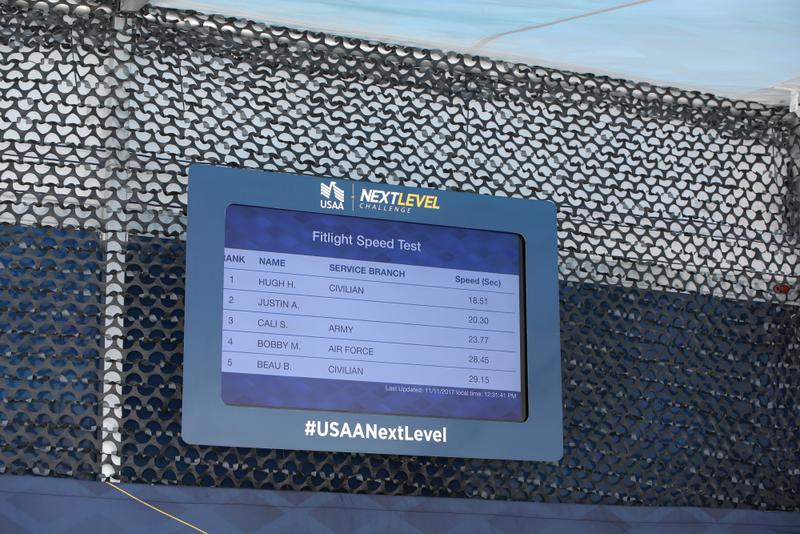 USAA partnered with eshots to engage millennials with a relevant, military-themed activation at the Las Vegas Air Show, called the Next Level Challenge. The core objectives were to strengthen consumer consideration and fuel lead generation. The multi-city tour took place at military bases across the country and encouraged head-to-head competition to the ones who protect our country. 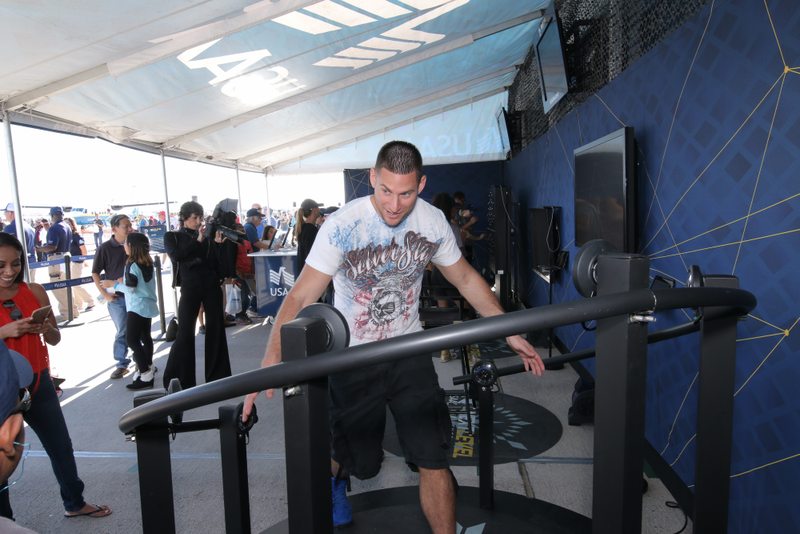 The Next Level Challenge encouraged passionate fitness fans to compete against opposing military branches in areas such as, technology, military training and sports. 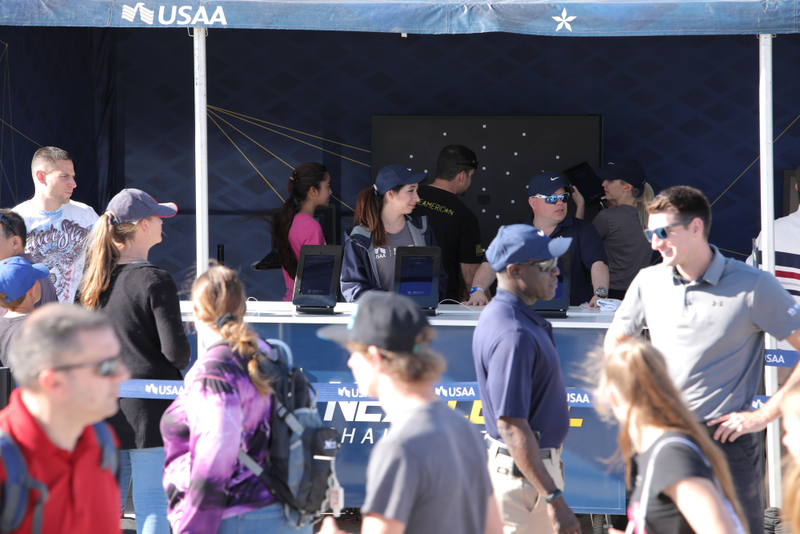 This unique activation, gave participants a shareable and fun experience that drove high consumer engagement for USAA. 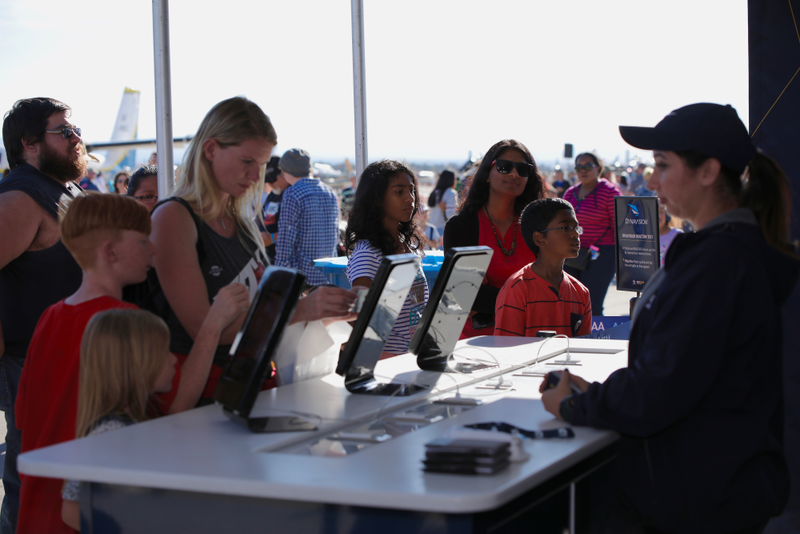 Upon arrival, consumers were asked to send a text including a unique keyword, or to scan their custom-branded event pass via iPad using eshots' QuickCapture application. After registration, the event pass is scanned at one of three challenges. 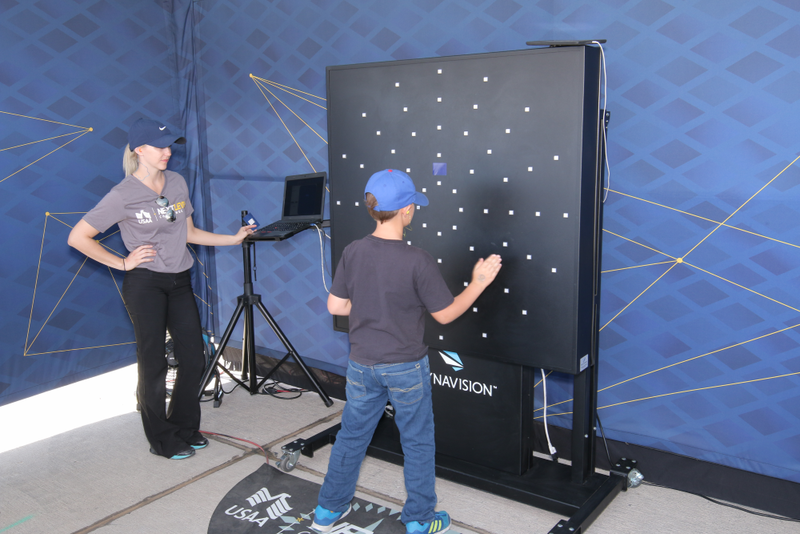 The first, called Dynavision, incorporated a Dynavision D2 light board to test a user's ability to dynamically read and react to stimuli with hand-eye coordination (used to train elite Air Force and Naval Pilots). 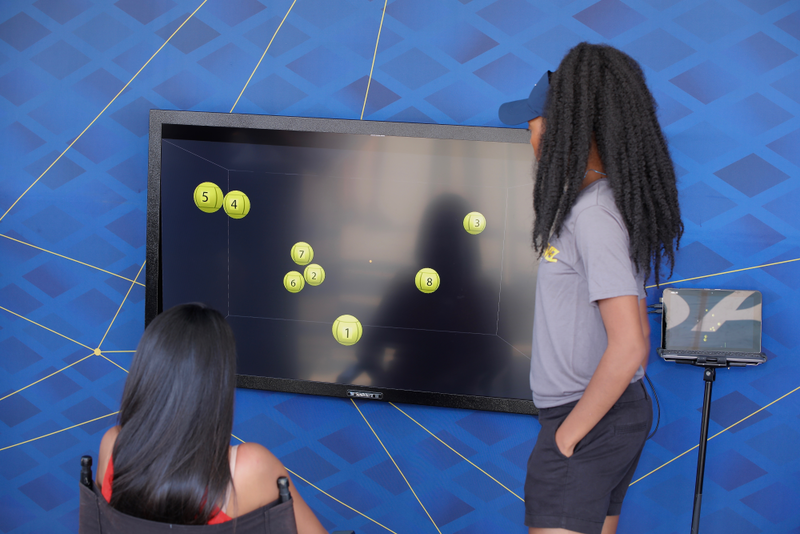 The second engagement was the Neurotracker which analyzed participant's spatial awareness, sustained concentration and decision-making skills under pressure (used for training by Special Forces). The final challenge, Fitlights, was the most physically active drill of the challenges. Fitlights was designed to measure reaction time, speed, agility, and coordination. The score from each challenge was recorded via iPad using eshots' QuickCapture application and linked to respective leaderboards via the cloud. After the event, consumers got an eshots' Rapid Response email where they could view their scorecard, see how they stack-up and share it on social media.